Marathi movies are clearly revolutionizing cinema in all respects. Veteran actors who have been working in Hindi Cinema and television serials are making their entry in Marathi movies. Actually, Marathi cinema has become a gold mine for talents. Here prominence and importance is given to acting skill rather than plastic glamour. The number of movies releasing each year, is increasing and proper promotion is being done in order to attract the attention of cine-goers. There are multiple movies that are going to release in the later part of 2014. Creative content in these movies are rooted to reality. Social dramas are the most common genre. 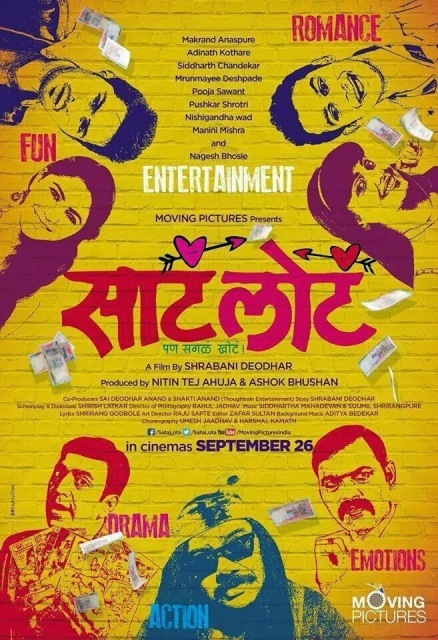 A Marathi movie releasing in September is Sata Lota Pan Sagla Khota. The joint producers of the movie are Nitin Tej Ahuja and Ashok Bhushan. Popular Marathi director Shrabani Deodhar is the director of the movie. The cast comprises of some known Marathi actors namely, Adinath Kothare, Makarand Anaspure, Pushkar Shotri, Siddharth Chandekar, Mrunmayee Deshpande, Pooja Sawant, Nishigandha Wad, Manini Mishra and Nagesh Bhosale. The screenplay and dialogues of the movie have been done by Shirish Latkar. The music has been composed by Siddhartha Mahadevan and Soumil Shrirangpure. The art director is Raju Sapte and editor is Zafar Sultan. Nothing much has been revealed about the plot or storyline of the movie. Stated to release in September, the movie has not yet been given a release date. 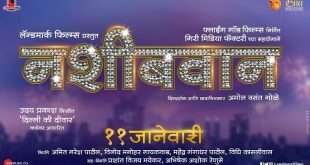 Though a lot of Marathi movie watchers know about the movie, the movie is being promoted all over the net. Actors and artists are promoting the movie and talking about it through press. With so many talent people within a frame, the movie has managed to create anticipation and interest. With the release date growing closer, people would be able to know more about the September release and its impact.